PTFE vents for electronic enclosures carry Ingress Protection (IP) ratings that indicate whether a vent is dust-tight, and the degree to which the vent provides protection against water. As defined in IEC 60529, IP ratings are two-digit identifiers that describe the degree of protection that electronic housings or boxes provide against solids and liquids. Choosing a venting material with the right IP rating is important, but there are also other specifications to consider. For example, POREX® PTFE has membrane properties such as airflow, water intrusion pressure, and maximum temperature. 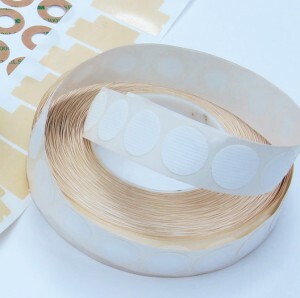 POREX PTFE also provide numerous advantages for electronics applications that require cost-effective, functional components. POREX PTFE vents minimize condensation, allow rapid pressure equalization due to temperature changes, and prevent the ingress of dust, dirt, and moisture. Chemically inert and thermally resistant, this porous material exhibits high tensile strength and does not require a membrane support backing. POREX PTFE also resists ultraviolet light and weather, and provides resistance to thermal cycling. 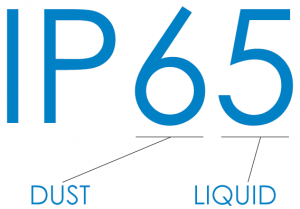 Because POREX PTFE is dust-tight, the first number in its two-digit IP rating is always 6. The second digit varies, and indicates whether the specific material provides protection against splashing water (4), water jets (5), powerful water jets (6), immersion up to 1 mm (7), or immersion beyond 1 mm (8). When selecting POREX PTFE then, choose membrane materials with ratings between IP 64 and IP 68. Available options for POREX PTFE membrane vents include standard acrylic adhesive, high-temperature adhesive, polyolefin mesh support backings, oleophobic treatments, and liners made of transparent film (standard) or silicone release paper. Physical dimensions vary, and include adhesive-backed sheets, rolls, shapes, and discs in custom sizes. Interstate Specialty Products is ready to answers your questions about IP-rated POREX PTFE vents, including UL-94 V-O flame ratings and UL 746C approvals. We can also recommend precision die cutting or digital die-less cutting techniques to support your application. For over 50 years, we’ve manufactured custom die cut components such as PTFE vents. To learn how our custom manufacturing capabilities can support your application, contact us on-line or call (800) 984-1811.